...it's hard to paint portraits. Unlike trees and rocks, and lakes and streams, that appear in landscapes and can pass muster just by looking something like one of those listed, people want something more. Seems it is expected that the picture you're painting of the subject is supposed to look just like them! The original "snapshot" before film, portraits were the way to memorialize faces and figures. 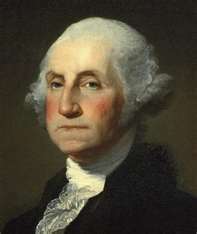 We know what George Washington looks like because of the number of paintings of him, and they all look like the same guy. You could probably pick him out of a crowd today, based on those visions that we've seen. Same goes for Ben Franklin, Napoleon, and a bunch of other people. To take the pressure off, I've decided to paint portraits of people that my friends don't know. That way I can assure them that the likeness is dead on...sorry I can't produce the model, but trust me this is just what they look like. I've wanted a challenging art class and I got one. I thought I'd share the process here with you, through the four once-a-week classes that will result in a completed portrait at the end! Really! The instructor promised that! To the right, above, you'll see the work in progress. 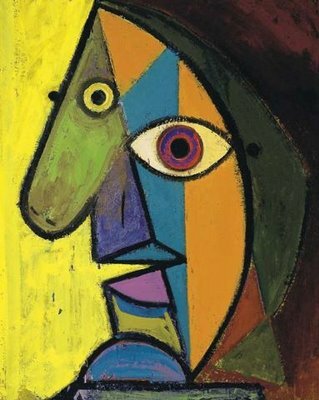 Now, before you get all excited and start writing me about how she seems to be missing an eye and, well, it's not really a very good painting, I must point out that this is the first layer...an under-painting, if you will. As the model posed, we had three hours to draw in the head and shoulders and start putting in values. She was very patient and kept the same pose, with a few breaks, without fail. I think it's a really good start. The instructor thought just a bit different, "that's going to need some work." While I was busy measuring the eyes, the nose, the mouth, etc., I got a bit side-tracked...as the teacher noted, "you seem to have flown into space, transposed yourself, and seen the model from over there," as she pointed to the other side of the room. It was then that I noticed the model was actually facing the other way! Details!!! "I did get the hair values right," I added quickly. Our instructor threw a glancing blow, "a little dark for a blonde, but I guess you can claim artistic license." I worked on the canvas for another hour and made terrific gains. Here, to the left below, you'll see the differences...right? Big improvements? The nose lighter, better color in the shadows, brighter whites? You can see the vast difference after an hour...no? Oh well, more later...another class this week and you'll see...the commissions will start pouring in. I remember what a former art teacher said to me about portraits. "Do your best, but don't show it to them right away. Put it in a closet for about 10 to 20 years, then give it to them. They'll love it." Let me know where you're ready to pose!